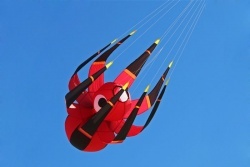 Metropolis Drachen | Ladybug 2 | Buy online now! 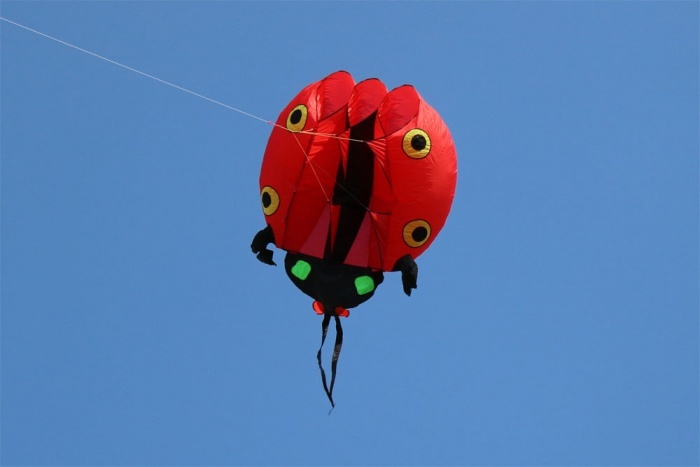 The Ladybug Kites are excellent fliers just as the Tadpole kites. 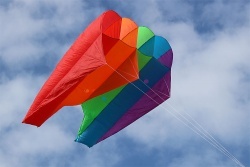 They are very easy to handle, so everybody can fly this kite. 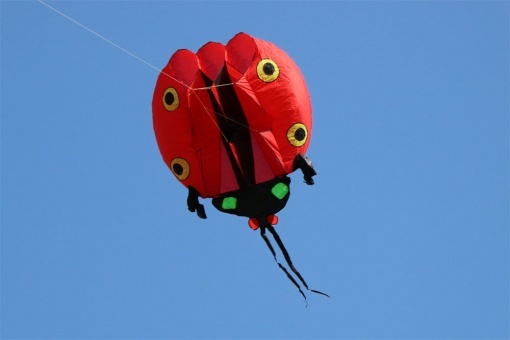 Due to the spinnaker nylon fabric the Ladybug´s are flying very good even at lighter wind. 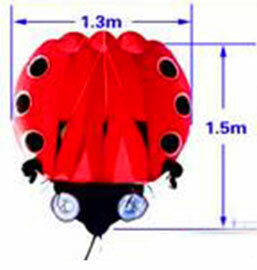 Depending on the size, you can use the Ladybug Kites also as a lifter kite to get line laundry in the air.